Google hadn’t had much success in the living room prior to 2013 (remember Google TV, anyone?). In July of that year, however, the company launched a $35 dongle called Chromecast that would not only reverse its fortunes but change the trajectory of the industry and spawn a sea of copycat devices. The search giant is typically reserved when it comes to sharing sales figures but that wasn’t the case during its most recent earnings call. As Re/code recounts, Google CEO Sundar Pichai said his company has shipped more than 30 million Chromecast dongles to date. That’s up from the 25 million units it had shipped as of this past May, an impressive jump for a device that’s three years old at this point. Google launched an updated version of its Chromecast dongle last September alongside a new product in the line called Chromecast Audio. 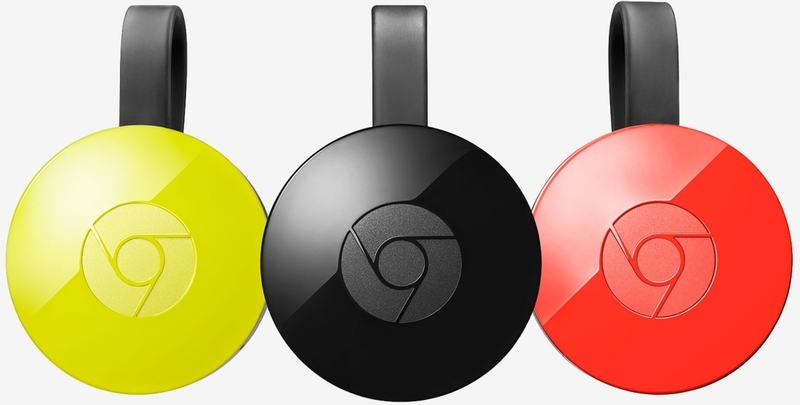 The refreshed Chromecast adds support for 802.11ac and 5GHz Wi-Fi, two additional antennas and features a new design that’s more flexible. Like the original, the newer Chromecast (and the Chromecast Audio) are priced at $35. The fact that Google continues to see strong sales is impressive, especially when you consider that Amazon stopped selling it last fall. It wasn’t just Google that Amazon targeted as the company halted sales of all media streaming devices that don’t support Amazon Prime Video. As a further vote of confidence to Chromecast, Google discontinued its Android TV-powered Nexus Player a few months back.